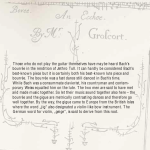 Those who do not play the guitar themselves have maybe heard Bach’s bourrée in the rendition of Jethro Tull. It can hardly be considered Bach’s best-known piece but it is certainly both his best-known lute piece and bourrée. 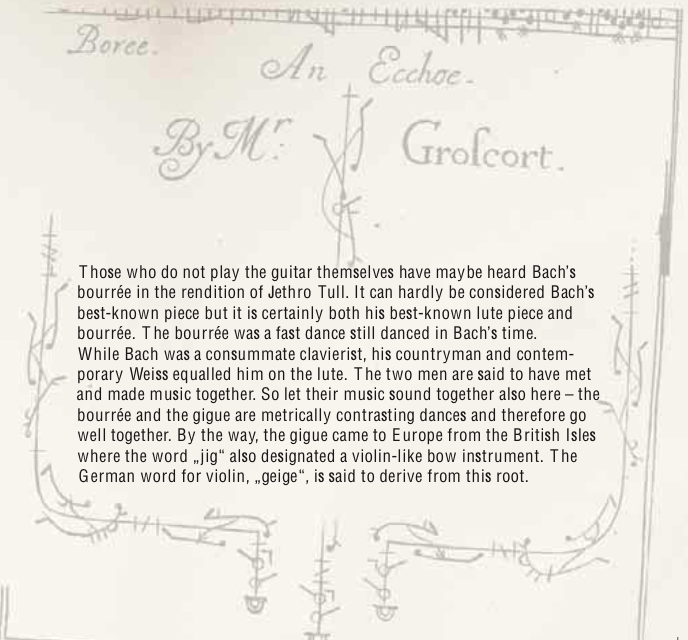 The bourrée was a fast dance still danced in Bach’s time. While Bach was a consummate clavierist, his countryman and contemporary Weiss equalled him on the lute. The two men are said to have met and made music together. So let their music sound together also here – the bourrée and the gigue are metrically contrasting dances and therefore go well together. By the way, the gigue came to Europe from the British Isles where the word „jig“ also designated a violin-like bow instrument. The German word for violin, „geige“, is said to derive from this root.